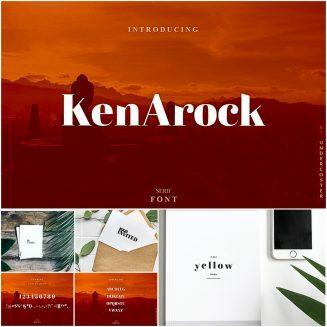 Introducing Kenarock – Serif Font : uppercase, lowercase, numbers, punctuation, combination and more. Perfect for posters, logotypes, branding etc. Tags: branding font, classic font, classy font, heading, logo font, poster font, serif, serif family, title font, UI font.